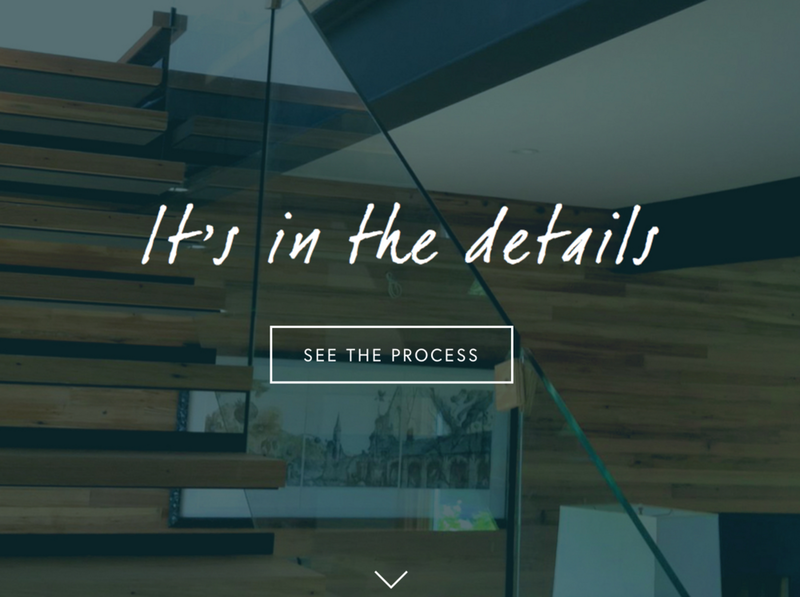 Based in the Hamptons for over 30 years, Dennis Schorndorf Fine Homebuilding specializes in quality craftsmanship and architectural details for customers who want homes made to last. Surrounded by high-end real estate tycoons and big name builders, our goal was to bring Dennis' honest passion for his craft across on his website. The biggest challenge, however, was designing when I have a love and connection to the client's business - my father's. Your relatives are not known to be the easiest of clients, but my father, mother, and I worked together to bring DS Fine Homebuilding into the digital age to reach a wider clientele. From refreshing the logo & brand, building a website, and marketing online - I am proud to be a part of DS Fine Homebuilding's new chapter. This logo has existed before I was even born. My father sketched it himself and with a little cleaning up, it is still holds up beautifully. I wanted to walk away from the distressed style and go in a more polished, streamlined direction for the Hampton's crowd, while staying true to my dad's hand-crafted taste. The color palette is inspired by my childhood home, which my father built, that my parent's still live in today - cedar shakes, hunter green Anderson windows, and an orange bricked fireplace. I wanted the website to clearly execute DS Fine Homebuilding's message at first glance. With a wide range of customers, the user experience needed to be exceptionally easy, clean and straightforward, allowing them to become inspired for their next home project when visiting. The homepage highlights the key information about the business and lets you navigate the site on your own terms. In Dennis' previous website, the portfolio was divided by "type of project" (i.e. 'kitchens') rather than per job. I felt that this provided a disconnect for prospective customers, as it didn't tell a story of Dennis' process from start to finish, before and after. We sorted, scoured, and photographed his latest projects and documented his stories to reveal what goes on behind the scenes of each job. I used a large, striking image on the homepage to showcase Dennis' work and signature aesthetic. Through expressive copy, we brought across Dennis' voice and informed visitors of his services. Providing insight into Dennis' process gives new customers comfort and trust in the product that they are receiving on their home. The website is completely responsive so that customers and prospective clients have a beautiful experience on their phones as well. I didn't want anything to be compromised. Kicking off the new website with a stylish email newsletter to loyal clients helped us spread the word and get exposure in local ads and email blasts. Being consistent in your marketing campaigns is key for having a steady audience. I maintained re-caps of our blog posts, newest pins for inspiration, and Dennis' latest projects, while making the content feel fresh each time. With new invoices, comes new branding! Scratching the out-dated Microsoft Word template, I designed a professional, yet welcoming stationary for a good first impression.